Sri Lanka will be hosting the Third meeting of the Asia-Europe Political Forum (AEPF) and the International Conference of Asian Political Parties (ICAPP) in Colombo from 5 to 7 April 2019. Approximately (90) ninety participants representing political parties in Asia and Europe are expected to be in attendance at this International Conference. Launched in Manila, Philippines in September 2000, ICAPP is a forum of political parties of Asia-Oceania countries. ICAPP is headquartered inSeoul, Republic of Korea. Its objectives are to promote exchanges and cooperation between political parties with various ideologies, to enhance mutual understanding and trust among Asian countries; to promote Asia’s regional cooperation through political parties; and to create an environment for sustained peace and shared prosperity in the region. In the recent past several political parties in Sri Lanka have been actively participating in ICAPP activities. 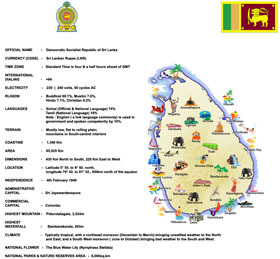 Considering the positive contribution made by Sri Lanka towards the progress of the ICAPP in the past, the ICAPP Secretariat invited the Government of Sri Lanka to host the 3rd meeting of Asia-Europe Political Forum (AEPF) in Colombo from 5 to 7 April 2019. Mr. Park Ro-byug, Secretary General, ICAPP visited Sri Lanka on 22 March 2019 and met H. E the President, Hon. Prime Minister, Hon. Minister of Foreign Affairs and Hon. Minister of Primary Industries and Social Empowerment and senior officials of the respective Ministries. Subsequent to these deliberations, the Government of Sri Lanka consented to host the AEPF in Colombo in April 2019. The Conference will be organized by the Ministry of Primary Industries and Social Empowerment in collaboration with the Ministry of Foreign Affairs. This will be an occasion for Sri Lanka to create a platform bringing together political parties from both the ruling and opposition parties of ICAPP member countries in Asia and Europe, for consultation and exchange of ideas drawing from each other’s experience. Further, the conference will help boost the image of Sri Lanka as a ICAAP member country, prepared to share global values and challenges with the rest of the world. The theme of the conference is “How political parties can handle the challenges of social security and employment of the increasing aged population as well as items of current urgency in the Asian region”. Sri Lanka is already facing the challenge of an aging population. Conferences of this nature give Sri Lanka a unique opportunity to discuss, exchange views, share experience and learn best practices from the rest of the world, on matters pertaining to the theme of this Conference.